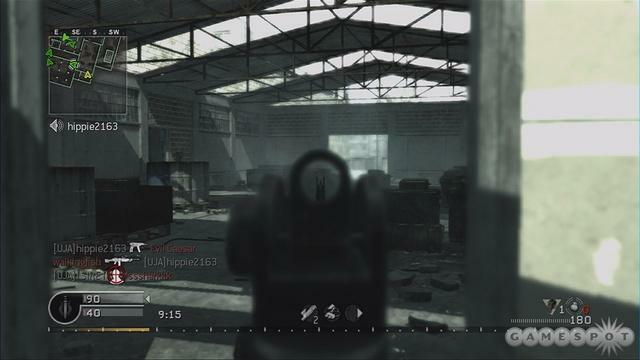 Call Of Duty 4 makes use of an entirely different setting than previous versions, and it proves to be very refreshing and crisp experience, the framerate is extremely solid and seemingly never drops, even in multiplayer (if the connection is right of course). With maps ranging from battle-torn streets in the middle east, to being on a sinking ship, to being at a missile launch base, and I could go on, but I don't feel like getting carpal tunnel today. The graphics rival some of the top games of this gen.
Ah, the campaign... like taking a shot in the nuts while riding a waterslide, it is an epic & sometimes painful experience that rarely contains lulls & somehow still remains extremely fun at all times. 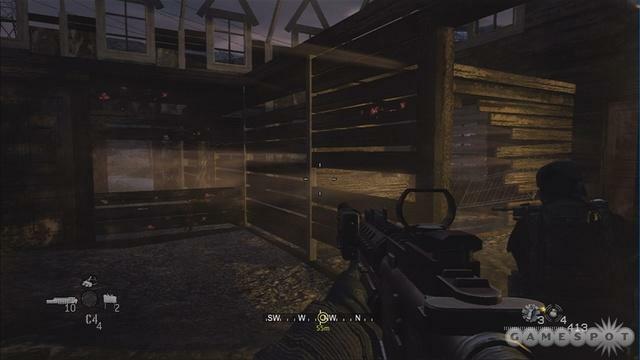 You play as two different soldiers throughout the missions, one is a British S.A.S & the other a US Marine. While switching roles throughout the campaign is nothing new to the Call Of Duty series, this title does as good a job as previous titles at filling in on details & stories behind the character, & it never gets confusing along the way. While there are definitely some breathtaking moments in the game where it made me get out of my seat and "spartan kick" my fellow gamer conveniently right beside me, a lot of the game is on par with what we've come to love in the series, which is vicious gun battles & non-stop action with above average voice overs & great CG's. And the only negative aspect about this campaign is that it is shorter than two Danny DeVito's stacked on top of each other, but that is only half the game my reader, lets get to the multiplayer. This multiplayer stinks. It stinks with the scent of success! 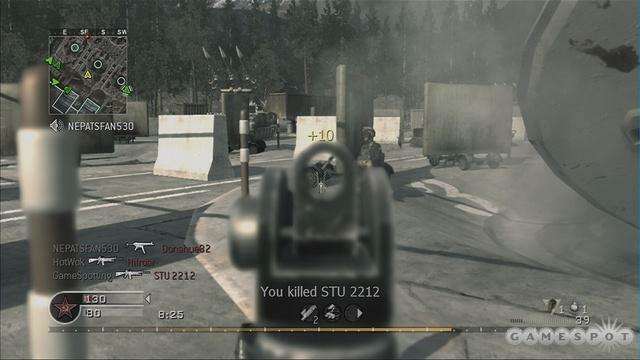 The multiplayer in COD4 is a lot faster than previous titles, but that doesn't mean a negative here. There is a wealth of maps right out of the box & all are uniquely designed strategically, some are more varied than others, but lets face it, they cant all be winners, right? There are a boatload of guns to chose from, some a lot more useful than others, but all can be used effectively with the right set of hands. The biggest addition i would say is the "Perks" system. 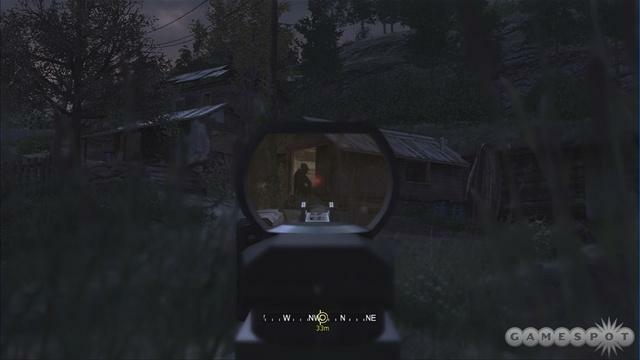 This element adds increased strategy & gameplay compared to standard shooters, & never seems to get too unbalanced. There is a leveling up system with rankings & as you continue to level up you can unlock new perks, weapons, and challenges. The amount of multiplayer gametypes is fantastic and ranges from standard death matches to Sabotage & Search & Destroy, with many other types also. There are some minor negatives such as no host migration, which means the game abruptly ends if a host leaves, but this can be easily fixed with a patch. All in all the multiplayer easily makes up for the somewhat growth stunted campaign and will keep you busy for hours & hours. 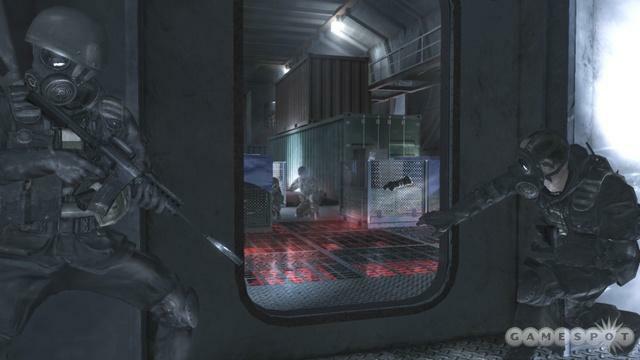 Call Of Duty 4 is a must own for FPS lovers and even those who don't like to dip their toes into the muddy blood-filled water that we call war. The single player while short is still a blast & the multiplayer has endless hours of fun. If you're still reading this & haven't already bought the game, then I ask, "Whats the freakin' holdup dude?" Go buy it.